Is HR Earning its Keep? 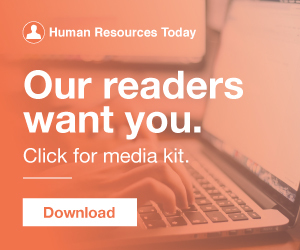 In an attempt to conserve funds and to enable human resources professionals to focus on more critical & strategic concerns, many organizations have considered outsourcing their time-consuming HR functions. In this Astronology® we briefly discuss some options for HR outsourcing. Some employers have found benefits in having a third party provide employee support for routine questions on areas such as benefits, payroll, and employee onboarding. Hiring an HR professional is typically at the bottom of a start-up's to-do list despite the very real risks forgoing this "to-do" poses. There's no clear verdict on when hiring in-house HR talent is a must—some argue that at a company should have at least 50 full-time employees, while others consider a nascent company's rapid growth rate to be the criteria—but one thing is clear: most start-ups often feel like they can't afford to make this hire right away. The Human Resources (HR) as a domain is unfortunately still not very clear even to CEOs, employees, and hiring managers from a perspective in terms of its role in the overall business, compliance, and from an employee perspective. In other words, HR has a major PR problem in terms of its branding and communication owing to the various complexities associated with the industry. This led to the HR professional evolving into the role of business partner. HR organizations got a boost in investment in 2014, with budgets up an average of 4% over the prior year. Much of the extra money went to increased headcount, with HR staffing up 3%, on average. Our research describes a growth model in the maturity of HR capabilities. Human resources are an integral part of any business, but many times it is one function that falls by the wayside The problem in addressing an organization’s human resource needs often lies in the lack of time, resources or expertise within a company. Selecting an HR outsourcing option. That way, they will free up more time for employees that can be spent on other equally important tasks. That is why Robotic Process Automation (RPA) technology has become necessary in the HR department. That way, it frees up more time for employees to focus on other quality tasks. One way top dealers are thinking outside the box when it comes to winning in today’s applicant-driven economy is looking outside the automotive industry for qualified talent across roles – including on the HR team. Sherry has extensive experience as an HR leader across industries. How the cloud is helping to elevate talent needs in HR Shared Services. 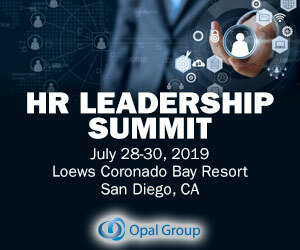 Are you a leader in an HR Shared Services organization? Are you a member of an HR Shared Services organization? Are you evaluating or implementing a Cloud/SaaS solution for HR? Related links. There’s a lot of talk about the role of the HR analyst so I thought it would be fun to compare some of the job descriptions out there. I randomly selected 5 HR analyst job openings on LinkedIn and, after removing the company-specific information, posted them below. What I really wanted to know what these requirements are for the HR analyst. In addition, most functions are for juniors. ERG: HR Analyst. Assist in rollout and implementation of HR programs. 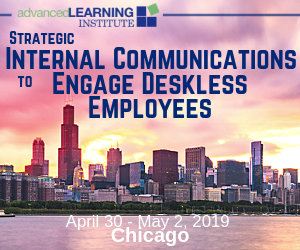 The demand for technology in all aspects of the workplace continues to grow as employees become more comfortable with and accustomed to technological change. For top talent, it is almost expected that their workplace be equipped with the latest in technology—and HR is no exception. Small Business Administration, owners of small companies spend as much as 25 percent of their time dealing with employee-related issues. This is time and money that would be better spent tending to the moneymaking functions of the business. In order to better allocate time and resources, many small businesses are choosing to turn over employee-related tasks to a professional employer organization (PEO). Providing professional HR advice.